Belarus, the Czech Republic and the Eastern part of Germany, Saxony. on the Eastern European panorama. Transfer from the airport to your hotel in Minsk. 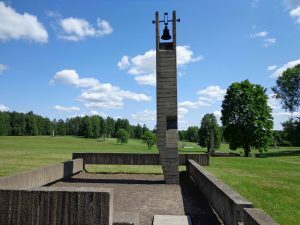 After breakfast, drive to the Memorial Complex Khatyn – the symbol of Belarusian people tragedy. It’s a complex in memoriam to innocent burned alive people living in this area during the time of the Great Patriotic War. Memory of them will never leave people’s hearts. Return to Minsk for a lunch at a local restaurant. 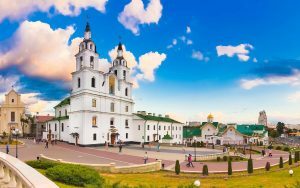 After lunch, enjoy Minsk city tour starting at the Independence Square – the main administrative and the largest square in the city with the House of Government and Roman-Catholic Church of Saints Simon and Helena. Continue to the Victory Square with its 38 meter grey obelisk and eternal flame honoring the heroes of the Great Patriotic War. 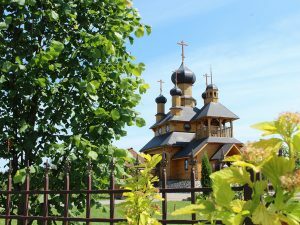 Visit Yanka Kupala Park followed by the Trinity Suburb – historical Minsk center with its 19th century buildings, the Holy Trinity Cathedral and St. Catherine’s Church. After breakfast, drive to the Mir Castle Complex (about 100 km west from Minsk). The UNESCO World Heritage Site, it is an outstanding example of 16th-century fortification art, which reflects the confrontational history of the region. After lunch, visit another castle – Nesvizh, history of which can be traced back to 1533 when the estate was owned by the Radziwiłł magnate family. The residential castle is considered to be the most beautiful palace in the country. Its diverse architecture and gardens make it one of the most popular tourist attractions in Belarus. Continue to the Farny Church, built between 1584 and 1593 in early Baroque style, the city hall of Nesvizh and some remains of the town fortifications. Return to Minsk. Optional: the National Art Museum of the Republic of Belarus. In the afternoon, drive to a unique ethnographical complex and an open-air museum “Dudutki” (about 40 km south from Minsk). Enjoy fresh home-baked bread with butter and herbal tea. Taste home-distilled vodka at the brewery, traditional cheese as well as famous Belarusian bacon with cabbage. A woodcarver, a potter and a blacksmith will all share their secrets during a master class. Continue to a Farmstead “The bees’ world” for a national dinner. Return to Minsk. After breakfast and hotel check-out, transfer to the airport for your flight to Prague. Arrive in Prague and transfer to your hotel. After a short break at the hotel, enjoy the beauty of Prague Vltava River Cruise with dinner onboard. After the cruise, transfer back to the hotel. After breakfast, transfer to Prague Castle and Charles Bridge. Start with Strahov Monastery dating back to 12th century. Enjoy panoramic views of Prague by walking down to Prague Castle, the largest ancient castle complex in the world (9th century). The former residence of Holy Roman emperors and kings of Bohemia, now it serves as an official residence of the President of the Czech Republic. Walk along the Golden Lane, through the Lesser Town and cross Vltava River over the Charles Bridge. 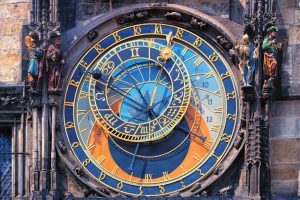 After lunch at a local restaurant, continue to the historical Old Town and the Jewish Quarter, the historical Prague Estates Theatre, and of course, the world’s oldest Astronomical clock “Orloj”. Return to your hotel. Overnight at a hotel in Prague. After breakfast, drive to a picturesque town of Karlovy Vary (about 2 hrs west of Prague). 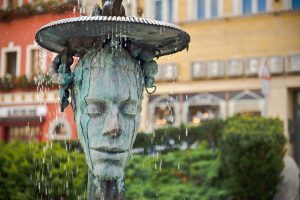 Enjoy a city tour of one of the most beautiful spa towns in Europe conveniently located in the heart of a forested valley with its numerous thermal springs, colonnades, spa buildings. Return to Prague. 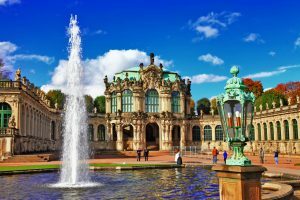 After breakfast, drive to Dresden, also called “Venice on Elbe“, the capital of Saxony located on Elbe River. Enjoy a city tour around the charming historical city center followed by time at leisure to visit some of the world famous museums or shopping. Return to Prague. After breakfast and check out, transfer to the airport. Departure.